Mighty or not, the slab of El Turon clearly doesn't interest everybody. 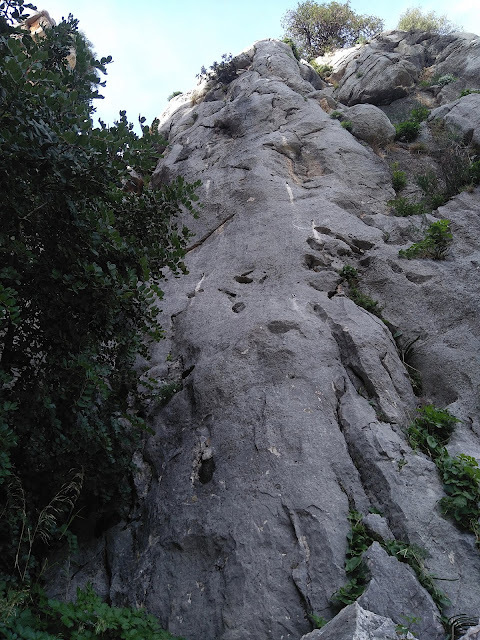 Floja Y Pendulona (5+) is in between two other easy routes, that are worth climbing as well. It's not like El Turon is perfect, though. Routes outside the main sector are often spiky and a bit scattered apart. Access to them isn't very pleasant either; the farther you go from the main sector, the more overgrown and craggy the terrain gets. Access to El Turon is not so obvious in the first place. You can see the crag from miles away, but Rio Turon kind of blocks the most straightforward way there. Instead of taking a dip in the steadily running river, find your way to a Y intersection and a small bridge near the farm. Then just hike along the river bank until you reach a path, that takes you towards the crag. That is, if you want to access the slab. Namely, there's more to El Turon than that! 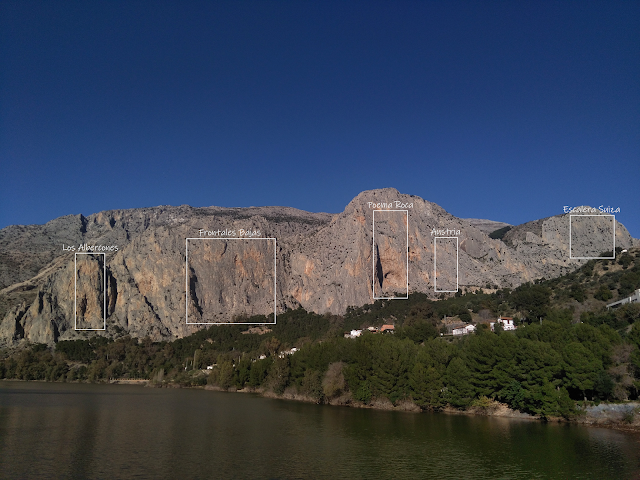 If you rip your eyes off of what's beyond the river and take a look uphill, you can see the more intimidating west face of El Turon. To access the west face, just start marching - you'll reach the crag after a while of scrambling up the hill and through some thorny bushes. The west face of El Turon. 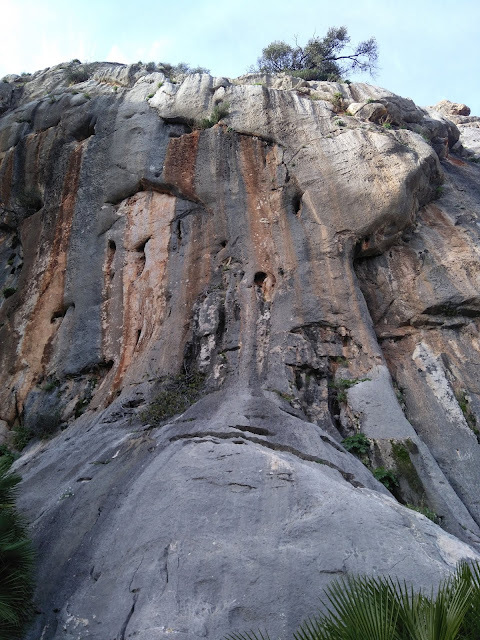 In contrast to the east face, the west face is mostly overhanging or vertical. It's also mostly orange and yellow limestone, as you can see in the photo above. 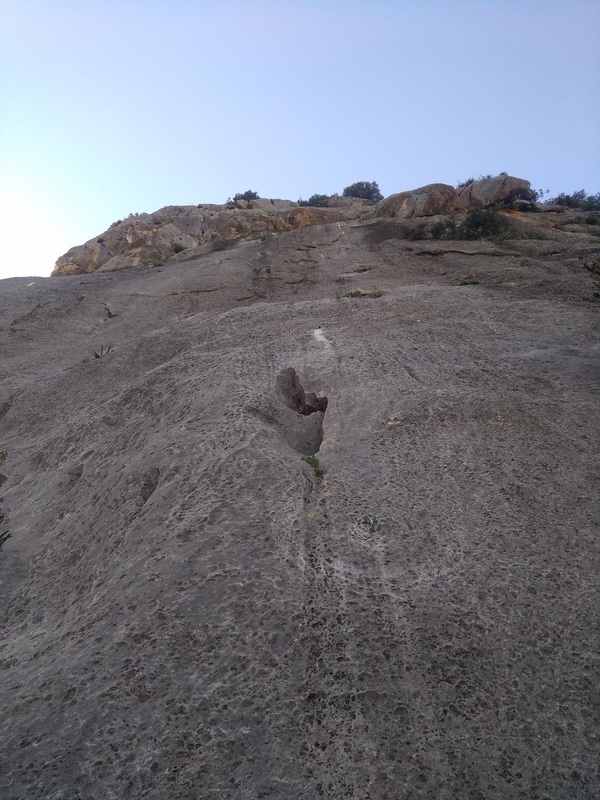 While there is a handfull of easy routes, the coolest looking lines there are well above 7a. What about El Turon guidebook? Is there one? Well, yes and no. Quite many of the routes in El Turon are missing from our guidebooks. 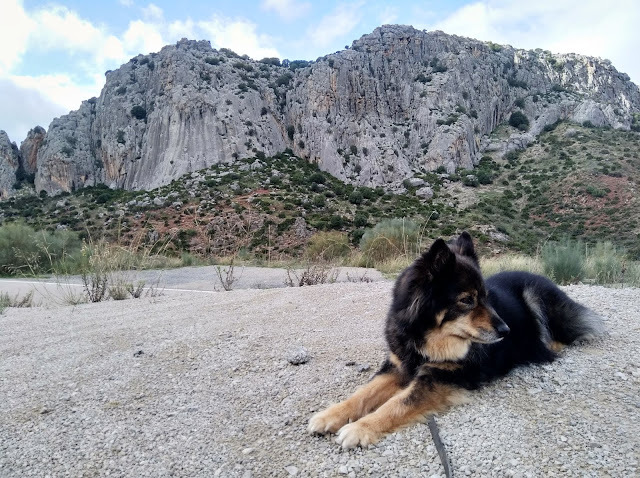 We have photos of an old RockFax El Chorro guidebook and some other guidebook, but neither of them covers all of the routes uphill. 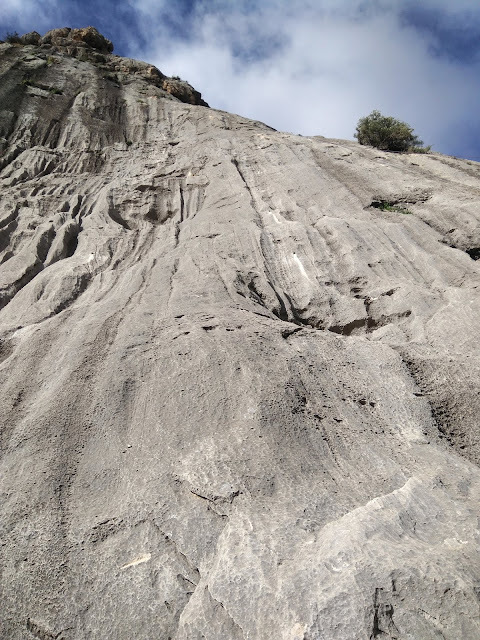 According to local climbers, the new routes can't be found in any topo (yet). When it comes to the sectors downhill, the single pitch routes are covered in our guidebooks pretty well. However, there seems to be a handfull of partially bolted multi pitch lines, that are poorly marked in both the RockFax guidebook and the other one. 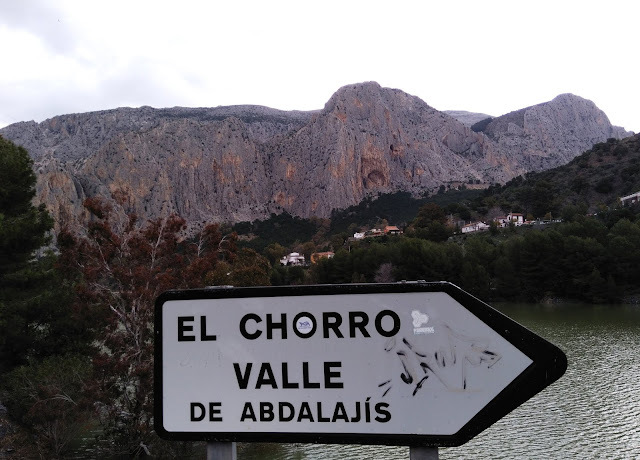 Perhaps the Andalucia sport climbing guidebook covers them as well? Acosa Y Derribo (6a) has a second pitch, but it didn't seem too appealing. Lastly, a few words about parking and camping in El Turon. Both camping and parking are possible in El Turon. There's plenty of room to park your car or even a motorhome beside the road from Ardales to El Burgo. We spent a couple of nights there, but because of the passing cars, it wasn't the most comfortable place to sleep. How about setting up tent, then? While the terrain might be suitable for setting up and sleeping in a tent, I'm not sure if the locals tolerate it. There's a lot of small bushes, but almost no trees, so you can spot a tent from far away. We didn't see any tents during our stay in El Turon. El Turon might not be the best of places to set up a tent. 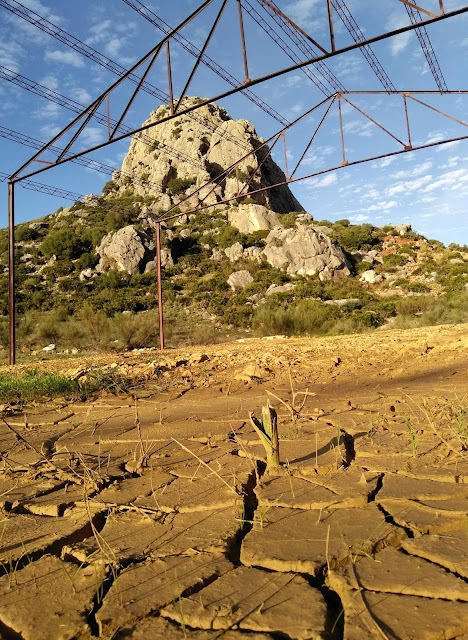 As an option, there seems to be some properties offering rural accommodation close to El Turon. Ardales even has a hotel of some sort. If you have any information on accommodation near El Turon, tell me about it! 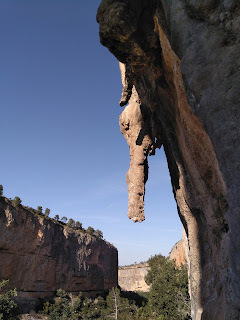 Oh, and remember to check out the posts about climbing in El Chorro and Deslpomilandia as well. 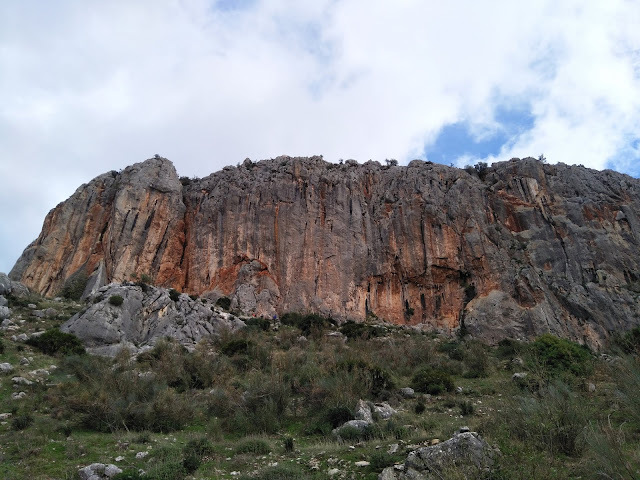 While you drool over the Andalucian crags, I'm already writing another post about multi pitch climbing in El Chorro. I'll get back to you with that in a few weeks!